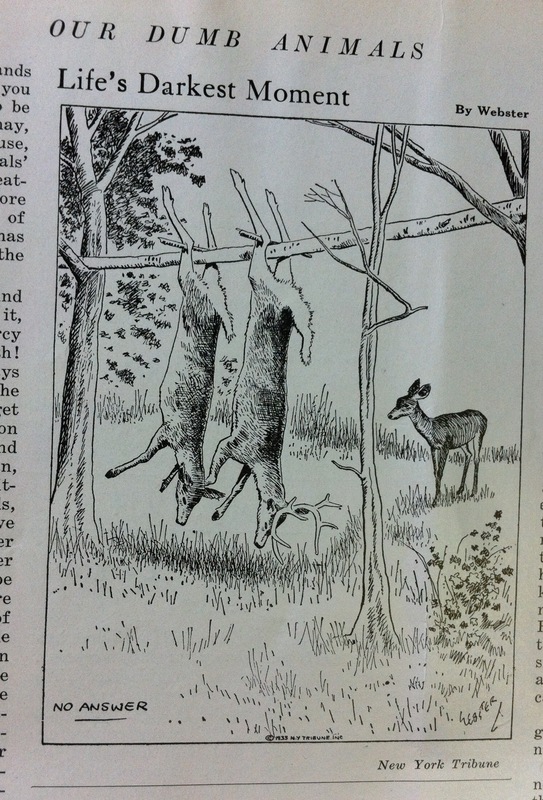 This haunting cartoon was originally published in the New York Tribune, and was reproduced in Our Dumb Animals in January 1934. In this image a young fawn comes across the horrifying scene of two adult deer–perhaps her parents–who have been killed by hunters. The simple phrase “No Answer” added to the bottom of the image is intended to create an empathetic response in the viewer, a recognition that nonhuman animals, like us, possess emotional bonds with one another.